I was so excited when I saw the reviews of this book. Someone wrote a novel for kids about science and religion? AWESOME. 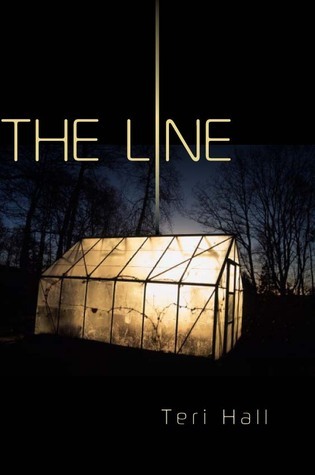 I know a number of kids who feel tension between what their parents believe and what they learn in school – how great to have a novel where the protagonist is dealing with exactly that issue! The good news is that Mary Mae competently tackles this problem. Mary Mae is a pleasant, relatable protagonist who is curious about her teacher’s world while remaining respectful of her family’s beliefs. The people she encounters in church, at home, and at school are, to a one, good and reasonable people with Mary Mae’s best interests at heart – they just have different ideas about what’s best. The conclusion Mary Mae eventually reaches is age-appropriate (i.e. she doesn’t suddenly launch into some lengthy, deep philosophical diatribe) and, again, respectful of her religious beliefs while remaining open to the possibilities of science. I cannot tell you how incredibly distracting the dialect (Appalachian, I guess? What other dialects are there in southern Ohio?) is. If it were only present in the dialogue, or otherwise scattered throughout the text, I could have dealt with it. I might’ve even found it charming. But when every single sentence has multiple folksy-isms, it actually makes the book difficult to read. There were sentences I had to work pretty hard to parse – so how am I going to pass this off to a nine-year-old? Are they really going to have the patience to wade through the irritating writing to reach the book’s message? I don’t know. I barely did. In short: This book is sort of a mixed bag. I like that it grapples with the tension between science and religion, and I like Mary Mae, but the dialect made reading the book feel like a chore. This is one of those books that I wish had come out a decade ago, because I could really have used it back then. I saw a lot myself and the people I knew in high school in this book, and I suspect it will resonate with a number of teenagers I know today. Don’t get scared off by the beginning, which is sort of weird and irritating – the rest of the book is great. 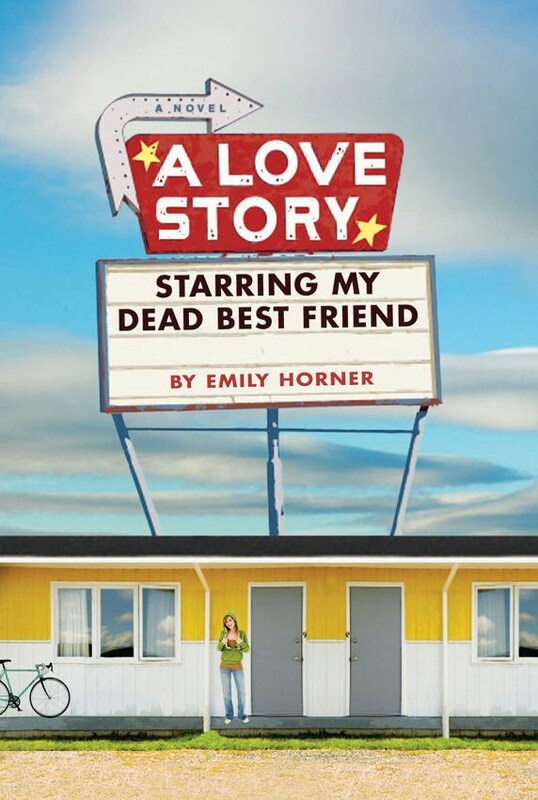 Cass’s best friend Julia dies in a car accident, and A Love Story Starring My Dead Best Friend follows Cass and her friends as they attempt to pick up the pieces, move on, and memorialize Julia as best they can. Cass memorializes her dead best friend in two ways: she takes the trip out west that she and Julia had planned, and she participates in the production of the musical Julia had been working on before her death. 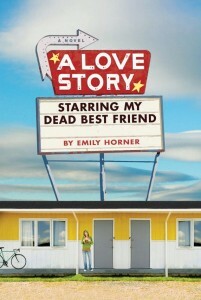 The road trip takes place during summer break, and the play is staged early on in the school year. The novel skips back and forth between the two stories, which normally bothers me, but here, the stories just work better this way. The great thing is that both stories are equally engaging. I love road trip novels, and I really love Route 66, so I enjoyed the chapters about Cass’s struggle to bike from Chicago to Los Angeles. Watching Cass return to the “real world” and attempt to navigate her changed relationships with Julia’s friends – and enemies – is equally compelling. Horner’s portrayal of this gang of grieving teenagers rings true for me – I know plenty of kids, especially theatre kids, who watch a lot of obscure horror movies and would do anything for their friends. I never got any real sense of what Julia was like – for all that the novel happens because of her death, we don’t know very much about her life. She liked theatre, was really into her boyfriend, was great at writing music…that’s about all we know. And that’s okay. This book is so not about Julia, and I like that. Instead, we get a smart, sympathetic portrait of smart, sympathetic Cass as she works through her grief by making mistakes, getting in trouble, and maybe even falling in love. Richard, like pretty much everyone else in this book, wasn’t fleshed out very well. I felt like I “got” the Marquis better than anyone. Door? I had no idea at all. She was a blank slate who occasionally showed off some interesting powers. But she had no real personality traits, and I never got a sense that she and Richard developed a friendship, except that Gaiman told us that they had. Whatever. The other problem is that once you get to the end, you get the distinct impression that you’ve just read the less interesting half of Richard and Door’s story. The plot part of this book doesn’t make all that much sense, once you start to think about it. Nothing really happened. But stuff is totally going to happen…right after the end of the book. I did like it, though. This book gets major points for the good writing and the really thoroughly developed, fascinating world Gaiman created. But I just kept expecting more: more characterization, more plot, and at least like ten more chapters to really finish the story. This is yet another YA dystopian fiction novel. This one takes place near some border (pretty sure it’s Canadian). It is the first in a series, and I will definitely not be reading the rest. Also, YA authors, I’m tired of series. Is it that hard to write one good stand-alone book? In short: It’s not like there was anything wrong with this book. There just wasn’t anything right, either. The writing is really clunky (I am pretty sure some of these paragraphs were “what not to do” examples in my high school creative writing textbooks). The characters are flat and boring. Plus, Hall does that annoying thing where she unnecessarily makes up words to sound more sci-fi (“digim” for “picture,” “creds” for “dollars”) – Star Wars novels do this a lot, but they’re Star Wars novels, you know? Made-up words do not create an interesting world all by themselves. Overall, the world was not particularly well-developed or believable – when is this set? How is it possible that all of these countries have different names? How is the government simultaneously so tyrannical and so incompetent? And WHY did all of the “world-building” happen in the form of a pop quiz? 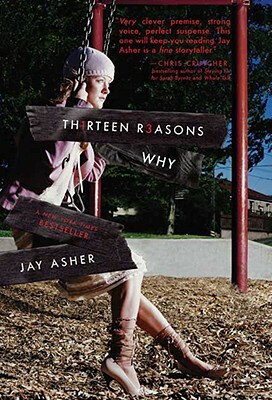 The other big problem is that this book requires the reader to be concerned about the characters, which is impossible because a) we know nothing about any of them, nor believe anything they say because they are all painfully insincere, and b) you never believe that their world is actually dangerous. Oh no, they might have to wear jumpsuits? Ugh. Add to that the predictable ending and the lazy dialogue, and you’re in for a real treat. I might have liked it in middle school, though, because I was a big “X-Files” fan and would have loved the over-the-top paranoia about the government. I don’t normally review picture books, but I wrote this one for school. This is one of my all-time favorite picture books – it’s so much fun for storytime. 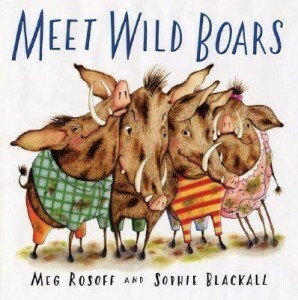 Meet Wild Boars is a picture book by Meg Rosoff, who is best known for her Printz Award-winning, controversial young adult novel How I Live Now. Meet Wild Boars is a huge departure from Rosoff’s work for older readers, but it is just as successful. This book does exactly what the title suggests: it introduces the reader to four wild boars, who are “dirty and smelly, bad-tempered and rude,” and who demonstrate their shockingly bad manners throughout the book. The boars – named Boris, Morris, Horace, and Doris – don’t like anyone, and they aren’t afraid to show it. Meet Wild Boars is a wonderfully funny book. Kids love stories about disgusting and badly behaved characters, and the boars featured here are both. The illustrations are detailed and delightful – the four boars have a lot of personality, which shows in their mismatched, ill-fitting clothing; dirty fur; and mischievous expressions. The facial expressions on the children are understated, but will often reflect the reader’s reaction. When Boris tusks the little boy, he looks pained. When the boars come over to the children’s house, the kids’ expressions of horror, rage, and disgust make clear how the reader should respond. The story is paced well, with the first half devoted to an explanation of the boars’ history of bad behavior, and the second half describing the chaos that will ensue should you invite the boars to your own house. Humorous and detailed examples of the boars’ behavior are present throughout the story. One highlight is a full-page image of Doris. The facing page describes her: “She is STINKIER than a stinkpot turtle. She is UGLIER than an Ugli fruit. She is BOSSIER than a Bossysaurus.” The text here is representative of the rest of the book: simultaneously matter-of-fact and hyperbolic. The text is funny, but the image says it all. 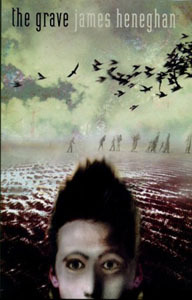 Doris – who is differentiated from her male counterparts by the tiny pink bow on her head – wears a dirty pink dress with green stink waves emanating from it. With her tail, she holds a hand mirror up to her dirty rear end, while she sniffs the rear end of the previously mentioned stinkpot turtle. At her feet are pools of brown sludge. Her messiness is unparalleled, and kids will get a kick out of the disgusting illustrations. Throughout the book, the pictures do a wonderful job of bringing the text to life. On one two-page spread, the text reads, “Poor wild boars. Nobody loves them. Maybe just once they could come to your house.” In contrast to the fairly understated text, the picture shows the four boars racing gleefully toward the house of an unsuspecting young boy. Two of the boars are looking out at the reader with narrowed eyes and a crooked smile – they are clearly looking forward to destroying the boy’s house. The text and illustrations work together perfectly, creating a story that engages children on multiple levels. Many children who cannot read yet will enjoy looking at the pictures on their own after hearing the story. This is a picture book with very broad appeal. The story is simple enough that kids as young as three can enjoy it, but the humor and clever illustrations will appeal to older siblings and parents, as well. There are a couple of jokes about bodily functions, which are always popular, and the extreme misbehavior of the boars will entertain even the most staid six-year-old. In general, children enjoy reading about the misbehavior of others, as it allows them to vicariously enjoy activities that are forbidden to them. It also gives children an opportunity to correct the behavior of others, which isn’t something they get to do very often. Anyone who likes David Shannon’s No, David! and its sequels will enjoy this tale of bad deeds and misbehavior. Meet Wild Boars would be a great addition to any public library’s story time cabinet, thanks to its relatively short length and broad appeal. For that purpose, the one potential drawback of this book is the detail of the pictures. It would be ideal in a large book format., as many pages have multiple images, and the larger pictures have a lot of fun details. With that said, the pictures feature lots of bold colors and movement, so while children at a story time may not get to enjoy every detail of the pictures, they can certainly appreciate the story. The book offers a lighthearted contribution to a story hour about manners, as the boars provide a great example of how not to behave. The sequel, Wild Boars Cook, is just as good as the original. A program that included these two books and a no-bake cooking activity – perhaps something involving chocolate pudding and gummy worms – would be a fun, if messy, activity for pre-schoolers and their caregivers. Since the boars are all about getting messy, it only seems appropriate. So I hate the dopey title, and I really wanted to hate the book. It’s such a contrived (if original) premise – girl leaves suicide mix-tapes for all the people who made her suicidal. And I’m not sure it’s especially well-executed; in particular, the parts of the novel that are narrated by Hannah (the tapes) in no way sound like dialogue, and that bothered me – after all, the author could’ve just had her write letters. My other initial hesitation was Hannah herself. I’ve had a couple of friends who have committed suicide, so to me that person looks different than Hannah, who is blonde and popular and, well, female. Add to that the fact that a few of her 13 choices seem downright petty, and I got mad at her for making people feel guilty for the rest of their lives because of an almost certainly unintended slight – 100 pages in, I was skeptical. But it’s a weirdly moving novel, when it comes to it. It took me until the end of the book to appreciate it, but I did, and I was glad I read it. The protagonist’s part in Hannah’s suicide is heartbreaking, and the interactions he has with other recipients of the tapes are compelling and ring true – much more so than the contents of the tapes themselves. I like to see teenagers reading this book (and they do, in droves), for a host of reasons. I appreciate that Asher lays out (in a non-didactic fashion) many of the warning signs of severe depression, which is good information for kids to have. Even better, what this book teaches is the importance – in this case, a life-or-death level of importance – of treating other people kindly and with respect, all the time. A lot of the people Hannah blames for her suicide weren’t unusually mean, for high school kids. They were just callous and uncaring, and that was enough to hurt her. The more reinforcement that message gets, the better. In short: For the win, in spite of the goofy title. A strong message and characters that teens will recognize from the hallways of their very own high schools make this a compelling read. In short: Super-retro tale of children running free during summer vacation and getting into adorable kinds of “trouble”. The four sisters are well-drawn and endearing, even if they fall neatly into Boxcar Children-esque sibling stereotypes, and the people they encounter while on vacation are just quirky enough to be interesting. The novel is old-fashioned in its language and plot, so it is really jarring when all of a sudden the girls’ dad pulls out his laptop. How many parents in 2009 are trusting enough to let their kids run wild around an unfamiliar area? (I mean, I did that as a kid, but that was a good 15 years ago, and in a small town with zero crime.) Of course, the whole book is set in an incredibly wholesome alternate universe (the most scandalous this book gets is when the oldest sister develops an incredibly wholesome crush on an older boy), so this is a good choice for parents who have concerns about what their kids are reading. All in all, this is a really cute story – I’m guessing it’ll be enjoyed more by adults who want to indulge in nostalgia than actual present-day children, but that happens. 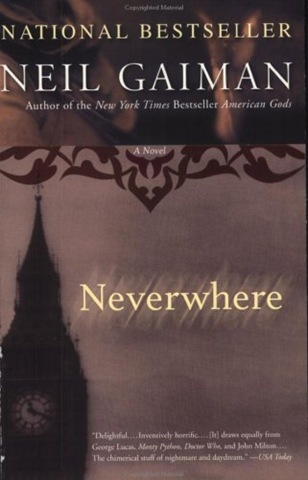 This is another St. Patrick’s Day find, as it was the only YA book that popped up in our catalog under “Ireland”. The cover art is atrocious, but I’m always vaguely interested in books about Ireland, so I picked it up. It was the right choice. Tom Mullen, a Liverpudlian foster kid, falls into a mysterious mass grave in 20th-century Liverpool and wakes up in Achill, an island off the west coast of Ireland, in the midst of the potato famine. This is of course a pretty bad place to find oneself, but Tom does swimmingly: within minutes he’s rescued one of the townspeople from drowning and is hailed as a hero (possibly of a supernatural order). Oddly enough, the kid he’s rescued is pretty much his doppelganger, which lends some credence in the villagers’ minds to the “supernatural” theory. Tom bunks with the Monaghans for a few days, befriends the oldest Monaghan brother, Brendan, who is disabled and reminds Tom of his co-foster-kid back home. He also falls in love with Hannah, the Monaghan daughter. He gets shunted back and forth between 1840s Ireland and 1970s Liverpool, facing tragedy and historically accurate hardship in both places, until he finally learns why he was sent back in time–and, in the process, learns valuable lessons about family and friendship (of course). I won’t reveal the ending, because it actually surprised me, and it’d be a shame for you to miss out on it. The problem I had with this book—and it’s relatively minor—is that Tom sounds much older than he is. He’s only supposed to be twelve or thirteen, but his attitudes and vocabulary and interests seem at least three or four years older, and it’s kind of disconcerting. Obviously he’s supposed to be more worldly than your average adolescent, what with being a foster kid and all, but this goes beyond what can be accounted for by his status. I really enjoyed his voice and the writing generally, but in my head, Tom had to be fifteen to make it work. 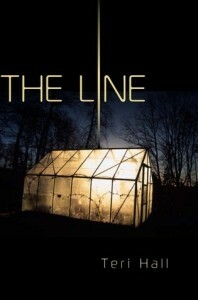 In short: A well-written and compelling time-travel story. Its somewhat clichéd ending and message don’t detract from the power of the famine scenes, so it works in the end. So I picked this book up when I was making a St. Patrick’s Day display. 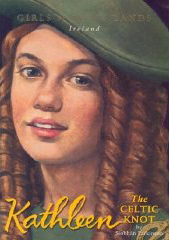 I never read this series—or knew that it existed, actually—but it has a lot of the same charms of the original American Girl books. Kathleen is spunky, clever, and resourceful, taking care of her younger siblings and learning Irish dance in a Dublin tenement circa 1930-something. It’s a gentle, uplifting story, but there’s enough grittiness in Kathleen’s surroundings to stop the book from getting too syrupy. Towards the end, the plot weirdly echoes that of the Christmas Felicity book, but that might be a coincidence. I appreciate that this book doesn’t try too hard to cater to its American audience. As a result, there are some references here that will be lost on the book’s target demographic—let’s face it, I’m better versed in Irish history than the average ten-year-old—but ideally, this is the kind of book that’ll encourage those kids to go and learn more. And I love how very Irish the book is—the writing and the dialogue are spot-on (at least, they sound just like twenty-first century Irish people; I obviously haven’t got a clue how people spoke in the 1930s, but at least they don’t sound American). In short: Sweet, wholesome, educational—what you’d expect from an American Girl book. I liked this book. I suspect most children will not even give it a chance. Certainly there is absolutely no way that we could get the kids at our library to read it. 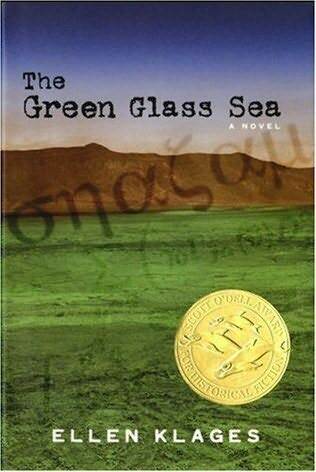 (Evidence: before I checked it out, the book had gone out once–to a different library, through ILL.) This a shame, because The Green Glass Sea is really great historical fiction. This book takes place from 1944-1945 at Los Alamos. 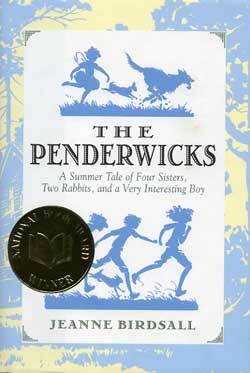 Dewey, our heroine, is terrific and mad likable, particularly if you are/were a nerdy kid yourself. She’s living there with her scientist father–her mother is not in the picture–and having a grand old time asking for advice on her inventions from–oh man, was that Richard Feynman? Nuh-uh. So okay, I geeked out a little. So does Dewey. Sadly, her strange, very personal utopia falls apart when her father is sent to Washington and she is left to stay with the Gordons, whose not-so-charming progeny is one of Dewey’s tormentors at school. Through a number of big events, both personal and historical, Dewey and Suze learn to navigate their relationship and the strange world into which they’ve been thrown. 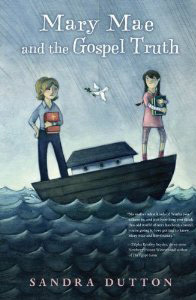 The two girls and Mrs. Gordon are wonderfully crafted characters, and the way the book deals with war–and with the devastating weapon its adults are building–is honest, nuanced, mature. The last chapter, in particular, is astonishing. It’s really good, you should read it! In short: Great historical fiction that’s probably too old for most kids who are Dewey’s age–throw it to the YAs and the more mature tweens. Good news: there’s a sequel.